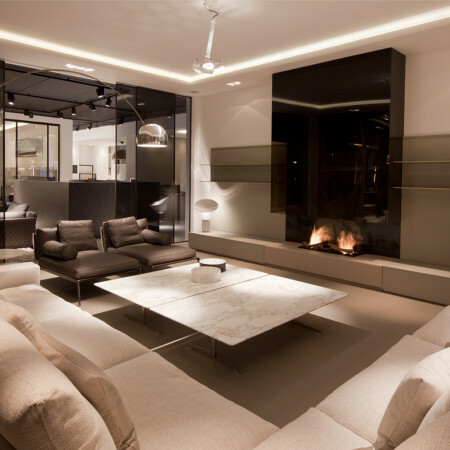 A completely bespoke fireplaces that is designed entirely to the clients specification. 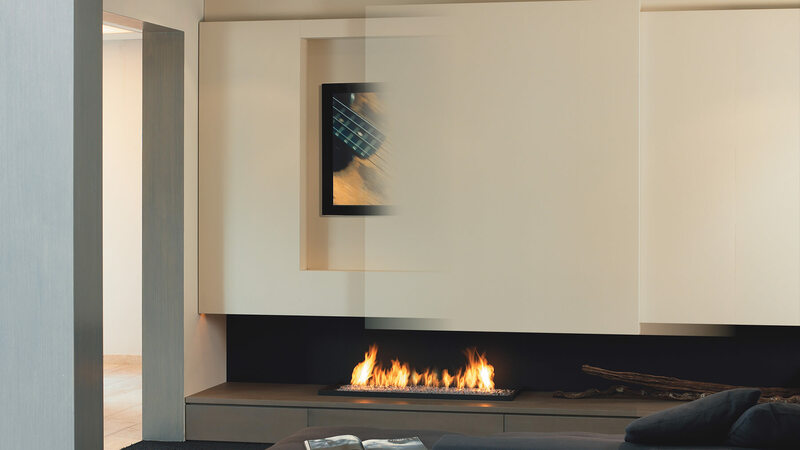 This bespoke fireplaces is the ultimate media wall, where technology meets fireplace design. At the click of a button the panel above the fireplace slides across to reveal the TV hidden behind it. At another click the fireplace is ignited and the TV and fire can be watched in harmony. 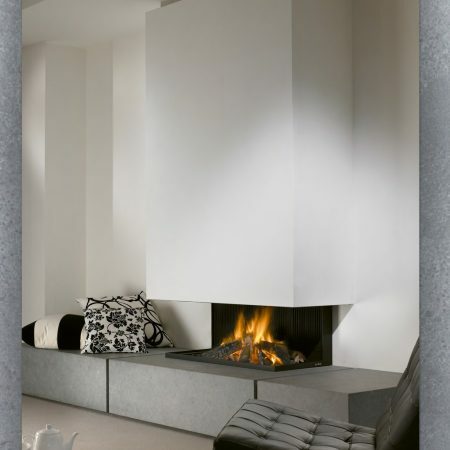 By hiding the TV, this design provides the ultimate in contemporary, minimalist, bespoke fireplaces design. The section above the fireplace is specially designed to protect the TV from high temperature whilst maintaining maximum heat flow into the room. The base unit can be useful space to house and integrate DVD player, satellite boxes etc and the units either side of the TV could be made into additional storage space or shelving units. The elongated steel back panel provides heat protection to the rear wall as well as adding to this contemporary feature fireplace. This fireplace is custom designed to the space and lifestyle and is a wonderful way of subtly hiding a television to create a harmonious living environment.